Harlow Science Park is a new destination for business focusing on all areas of science, technology, research and innovation. In 2015, Harlow Council acquired 10 hectares of the London Road North site in Harlow and gained planning consent to create a collaborative, progressive sci-tech community as part of the Harlow Enterprise Zone. Vinci Developments, one of the UK’s largest construction companies, is working in partnership with Wrenbridge, one of the leading commercial developers in London, the East of England and the Home Counties to take this forward. 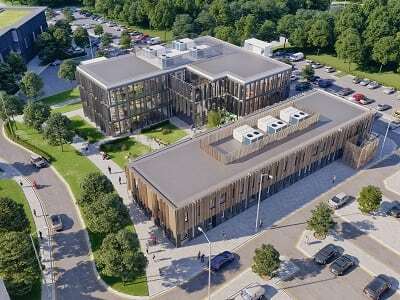 Harlow Council will also work alongside Anglia Ruskin University to create a Med Tech Campus, bringing together research, innovation and manufacturing. This forward-thinking development will be located within the established London-Stansted-Cambridge Corridor, an area which already has a global reputation for excellence in scientific research. The site will be developed to a campus style, in an attractive setting, providing space for large companies as well as smaller incubation and ‘move on’ units. There will also be a requirement for some secondary retail and restaurant/café provision. Public funding has been secured to put in place the necessary site infrastructure to make it ‘development ready’ – new roads, power and water supplies, as well as communications technology. It is expected that much of the development will be of a ‘design and build’ nature, given the very precise requirements of much of the target sectors. The first building under construction in early 2018 will be a 30,000-square foot office building designed to provide ‘move on’ space for small and medium sized businesses. Two separate contracts have been let by Harlow Council for enabling works that will see the construction of Harlow Science Park commence in 2018. Work started at the beginning of October to provide new road access to each of the development. It is expected that power works will complete in December 2017, the first two electricity sub-stations will be constructed on site in early 2018. Harlow Science Park will include a 15,000-square foot Med Tech Innovation Centre built in collaboration with Anglia Ruskin University. The Centre will provide the potential for the commercialisation of spin off projects from research programmes into new medical technology. The development will capitalise on the growing Med Tech economy in this region, providing affordable space for start-up businesses, access to R & D facilities and resources, access to ARU’s extensive clinical trials programme, market intelligence and access to a wide industry network. The Med Tech Innovation Centre is designed to be sublet in small units to start-up companies and postgraduates, offering an affordable base for R&D that could rapidly grow into something bigger. Further details on the Science Park development can be found here. Harlow is known historically as the location of the discovery of fibre optics and has had a long-standing reputation as a hub of science and innovation. It is the perfect place for project such as the Harlow Science Park due to it’s connectivity, large workforce and the commitment of many companies to entrepreneurship and innovation. The new world-class Public Health England (PHE) labs will further contribute to Harlow Science Park’s MedTech focus, as well as increasing the attractiveness of the town for businesses in the science and health sector. In a £400m move PHE will continue their vital work in tackling some of the biggest issues in public health. The new facilities, based on the site currently owned by GSK, will create a centre for research, health improvement and protection working on international health threats, such as Ebola. Read Property Week’s recent article here to find out more about why Harlow is the perfect location to house these developments. 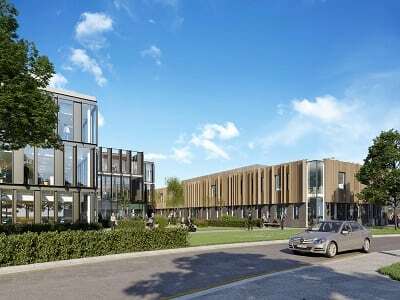 Harlow Enterprise Zone is a new science and IT park in an attractive campus style environment with excellent transport connections providing a new development for advanced manufacturing and life sciences/medical technology businesses. The on-site linkages with Anglia Ruskin University provide a dynamic collaborative environment between business and higher education with increased opportunities for innovation and enterprise. The Enterprise Zone contributes to economic growth and the UK’s export potential. Harlow’s growing reputation as a science-led town, a reputation started in the 60’s with the development of Fibre Optic Technology by Nobel Prize winner Charles Kao at Standard Telecommunication Laboratories (STL), continues today with the development of the Harlow Enterprise Zone. To find out more about the Harlow Enterprise Zone see here. Why should life science companies choose Essex as a business location? Essex is located at the heart of the London-Stansted-Cambridge Innovation Corridor, positioning businesses within Europe’s largest Life Sciences and Healthcare technologies cluster. 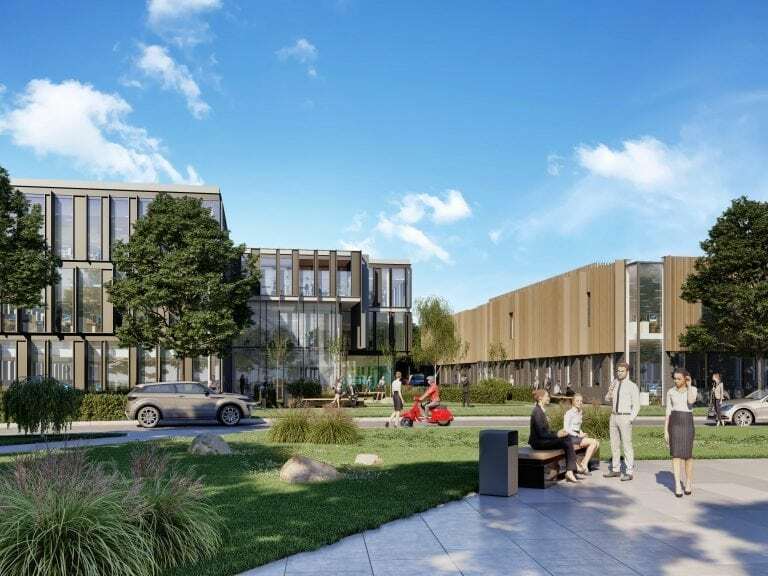 Essex’s state-of-the-art Research and Business Parks offer fast connections to both Cambridge and London via the M11 motorway. London Stansted Airport also offers direct flights to Europe, North America, and Asia. These strategic business locations provide Life Sciences and Healthcare companies with direct access to world-class people, knowledge, funding and collaborative networks, at significantly lower cost than either Cambridge or London can offer.